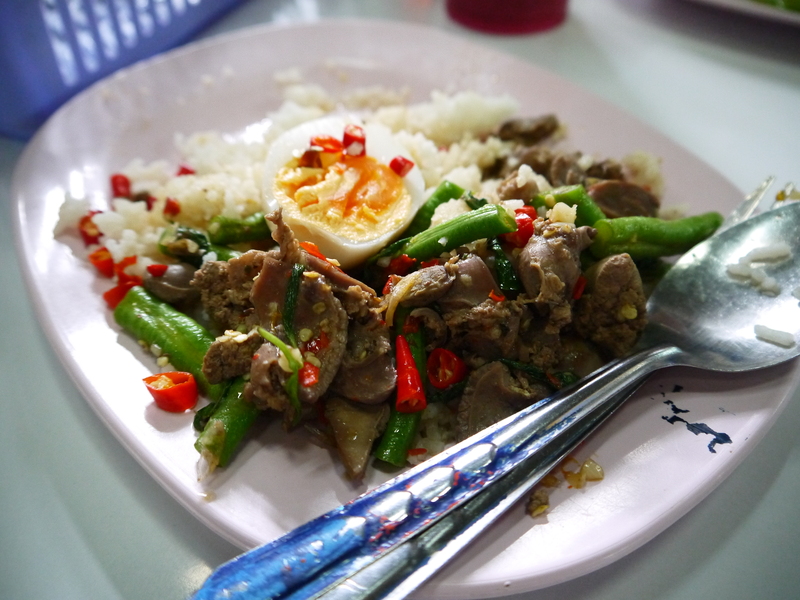 If you are having trouble deciding what to have for lunch in Thailand and limiting yourself to just one dish is too hard then maybe a point and pick curry place is for you. Although it could potentially make it even harder depending on how many choices they have on offer. This is one of Nic’s favourite lunch options. It means that every day you can try something different. The joy of ordering this food is because it is all laid out in front of you, you don’t need to be able to speak much (if any) Thai to order. 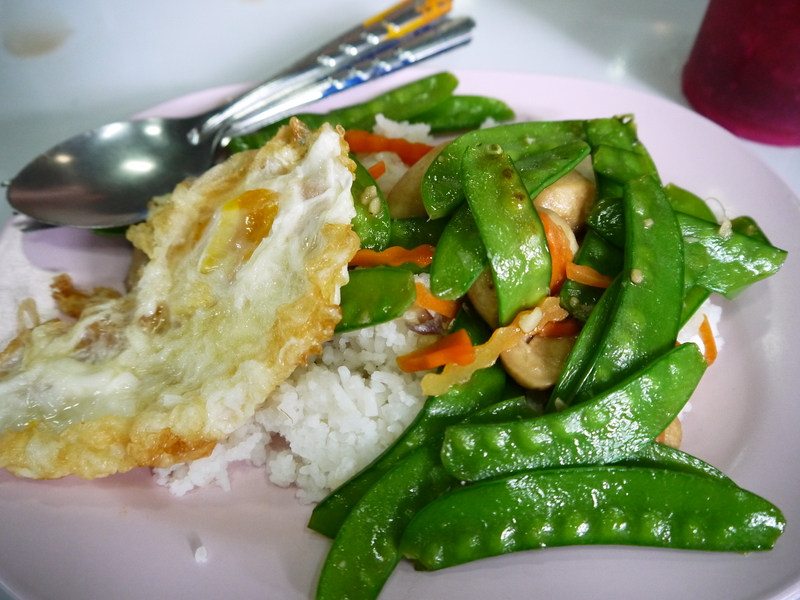 Simply knowing the words for rice (khao) and this (ani) will help. 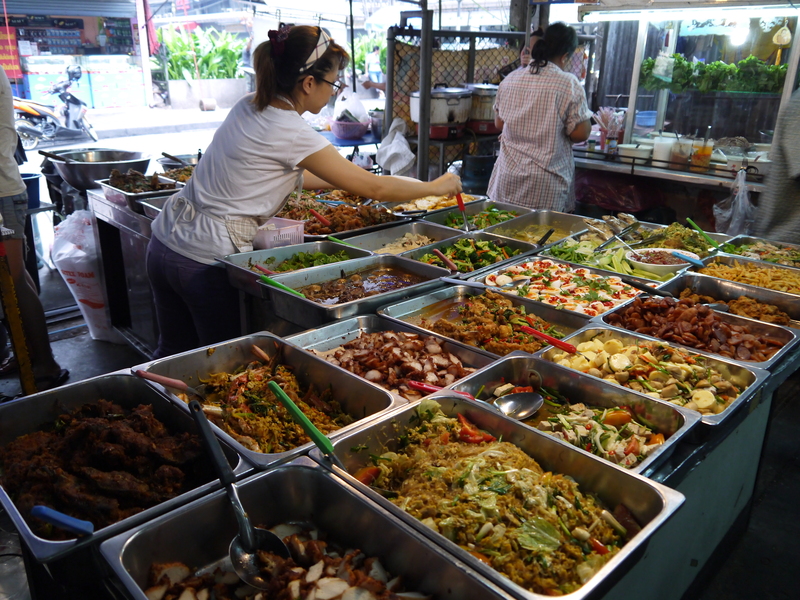 You can find these places all over Bangkok and Thailand from mall food courts to outdoor wet-markets, on the street or in restaurants. I hope your choices are just as delicious as ours have been. I was in Thailand last year but I didn’t happen to come across a curry spread like that…which now means I need to head back to Thailand again. It’s definitely quite common, I think this one was in the Silom area. You only difficulty will be choosing what to have. « Monday Madness – the drink that makes you handsome (or Mansome)!